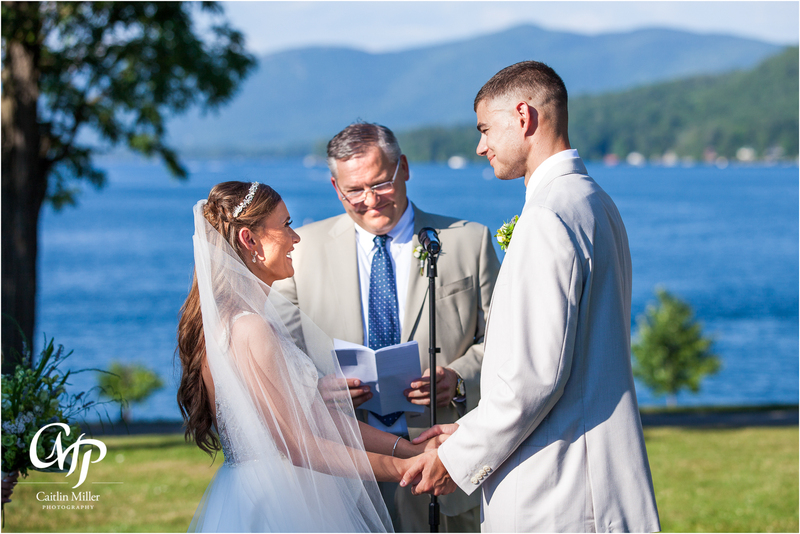 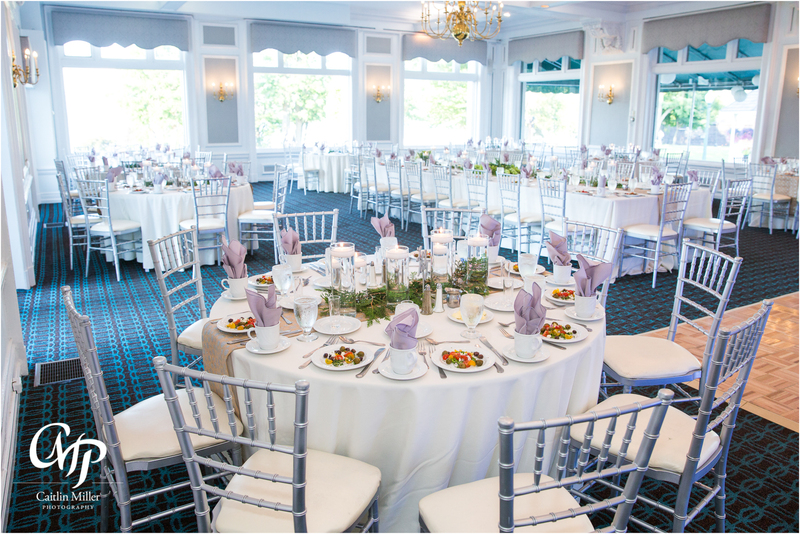 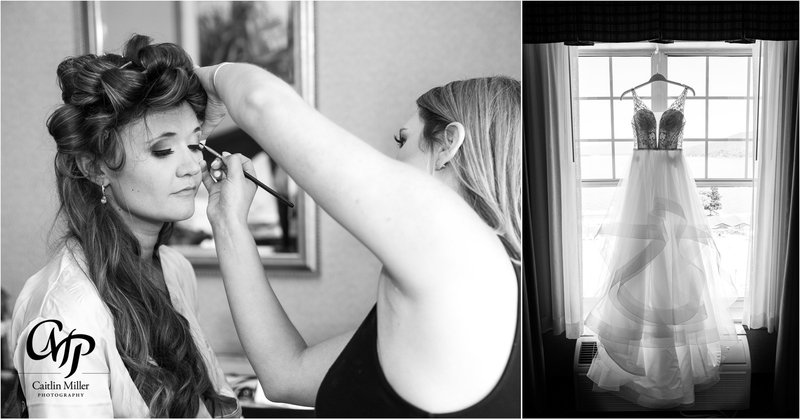 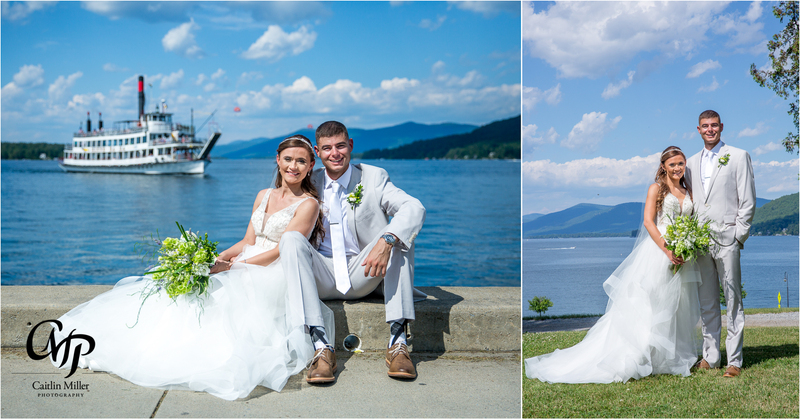 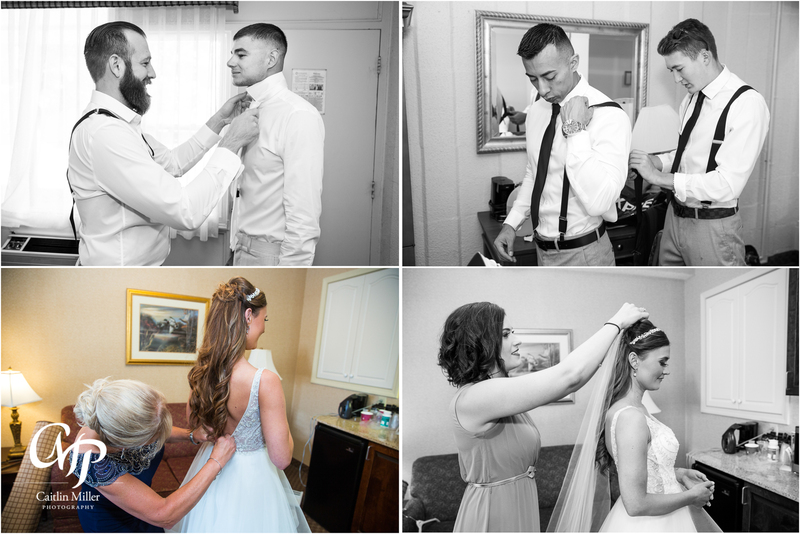 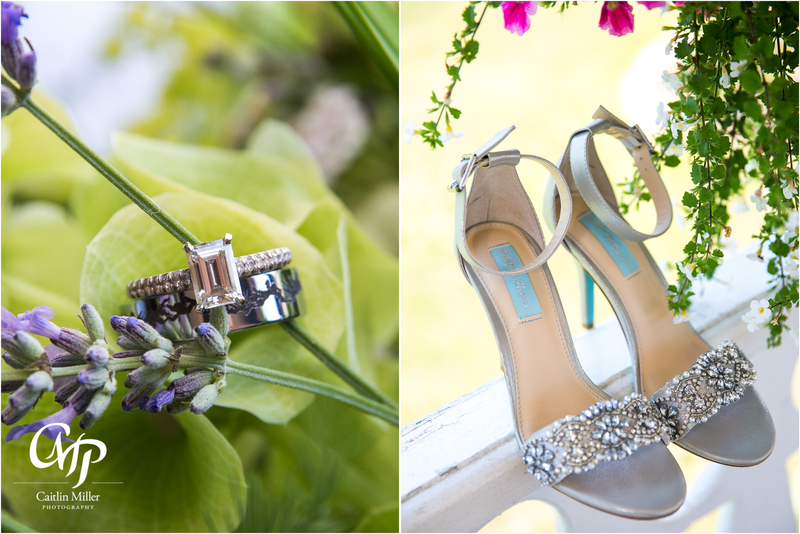 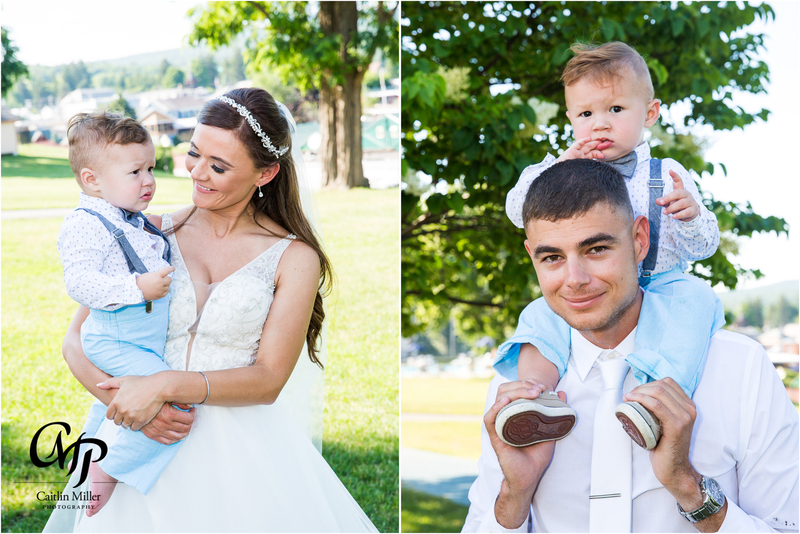 Kate and Averell’s Lake George wedding day began in the suites at the beautiful Fort William Henry Hotel. 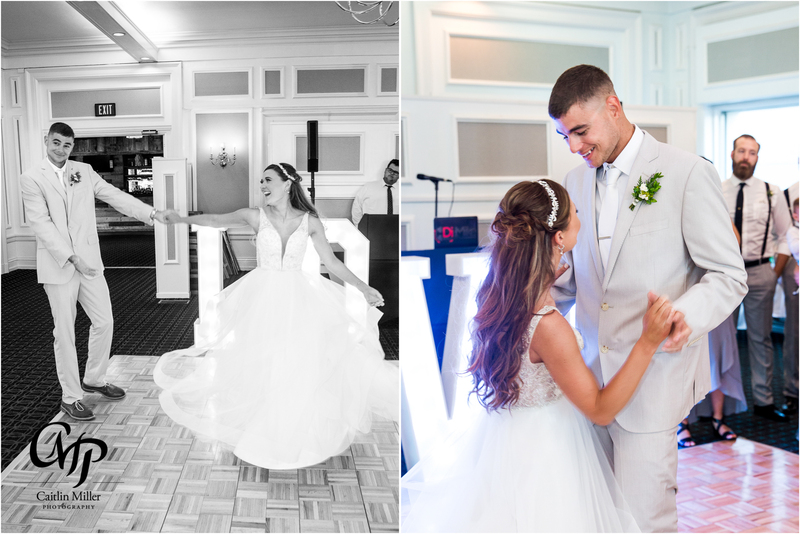 The bride slipped into her stunning toulle ballgown before sharing a sweet first look with her groom. 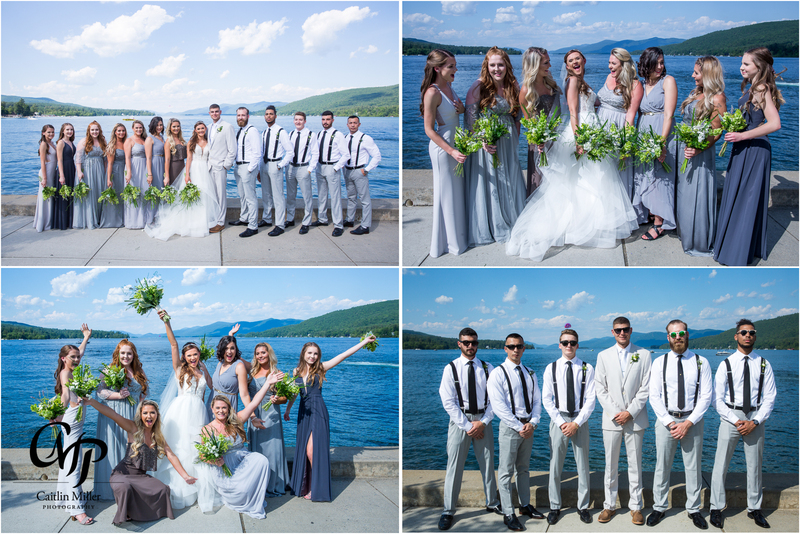 The couple enjoyed the summer weather during their lakeside formals before the bridal party joined them for some fun on the beachfront. 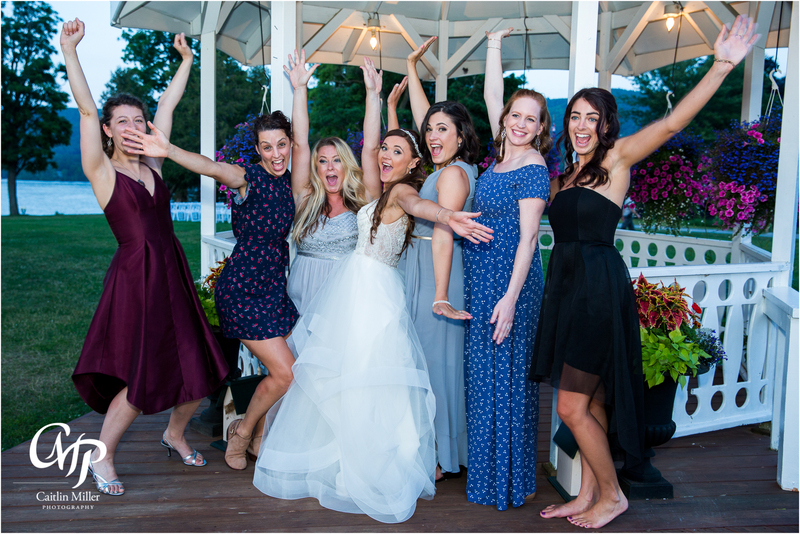 The Minne-Ha-Ha even joined in the photo fun! 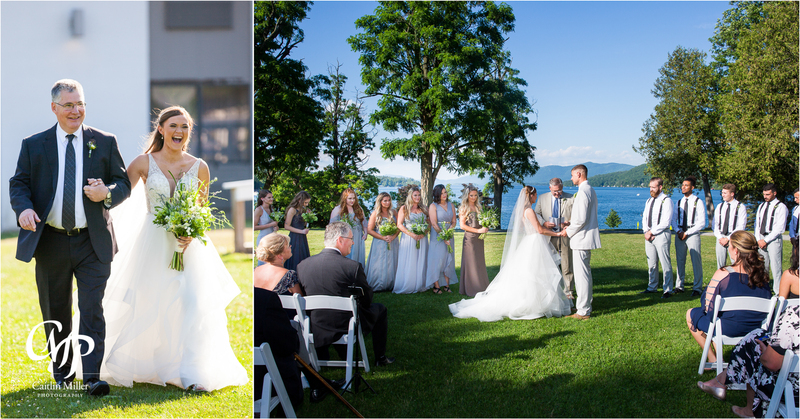 A short and sweet ceremony followed overlooking the lake. 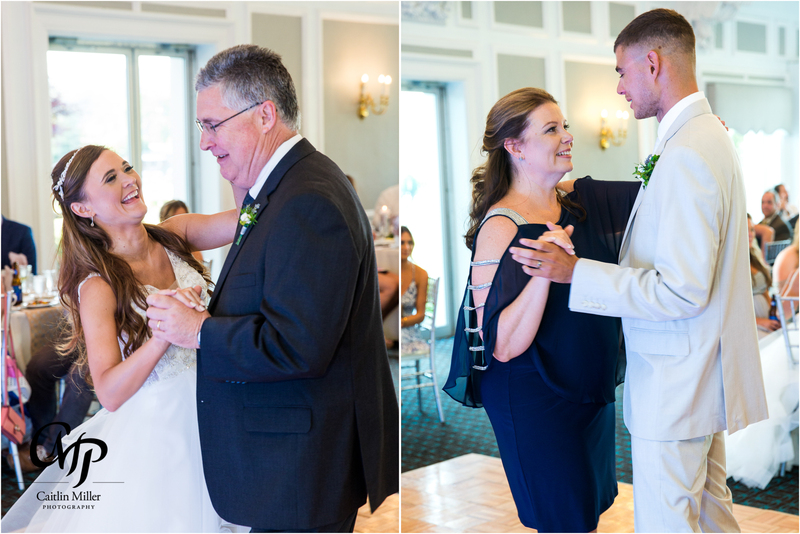 Kate and Averell joined their guests in the White Lion room of the Fort William Henry for the dance filled reception – and even shared a dance with their son! 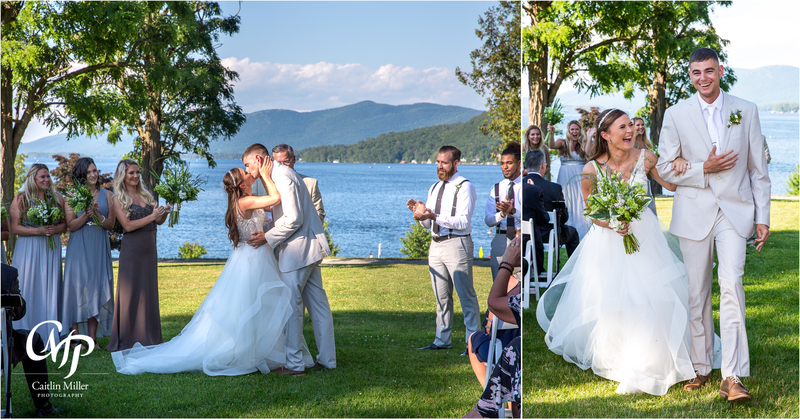 This perfect Lake George wedding ended with some romantic night photos in the gazebo. 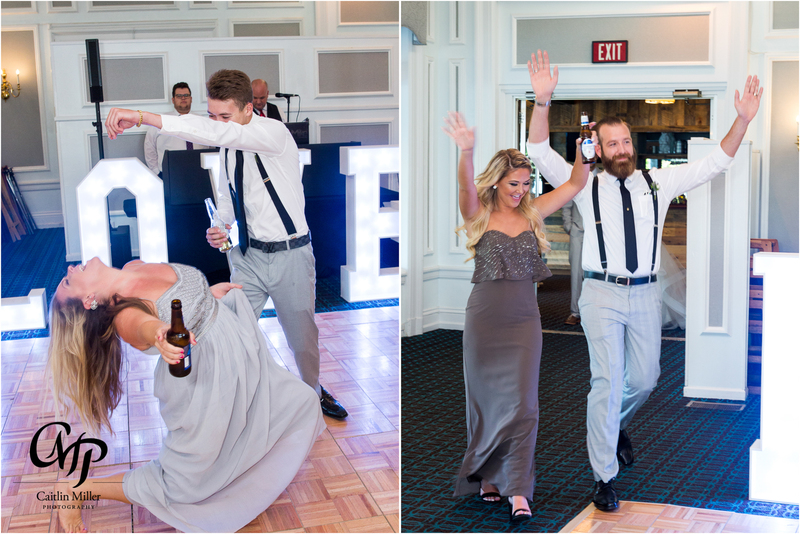 Best wishes for this fun-loving couple!